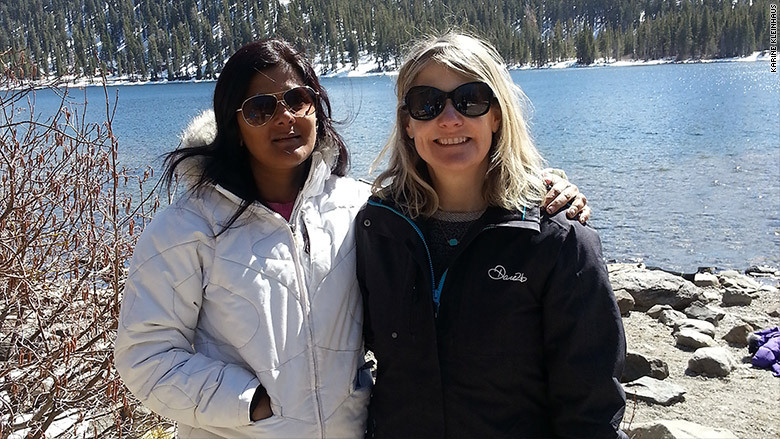 Dr. Karine Kleinhaus [right] with Dr. Sumana Yeturu, a practicing physician with whom she trained in OB/GYN residency. The name is telling, but its members will surprise you. The Drop Out Club is an online networking platform that's helping doctors find careers outside of medicine. In 1999, six former med school classmates met to catch up over drinks. They were eager to compare notes because each had left medicine to pursue alternate careers. Later that year, Rael Mazansky cofounded a website to allow the group to stay in touch. It became the Drop Out Club. Today, the platform has more than 23,000 members in 102 countries and has expanded its parameters to include science PhDs. The members span the spectrum: from med school students to doctors who've been practicing for more than 15 years, said Mazansky. In 2009, the Drop Out Club also evolved into a job posting site, said Mazansky. The platform is ideal for employers who want candidates with medical expertise. "On general job boards, finding those candidates is like a needle in a haystack," Mazansky said. It also works well for doctors who typically aren't the most savvy at finding non-medical careers. Although membership is free, the Drop Out Club charges companies $500 to post a job. To date, 500 employers -- including law firms, hedge funds and biotech startups -- have used the platform for hiring. Mazansky said companies who post jobs receive an average 75 applications -- and "even up to 200 in some cases," he said. Karine Kleinhaus credits the Drop Out Club for helping her land her first job outside of medicine. Kleinhaus was a practicing OB/GYN and also taught at NYU's School of Medicine. She loved medicine and seeing patients but felt increasingly encumbered by the paperwork and logistics associated with it. "The environment has become very stressful, especially in obstetrics," she said. "It's not the medicine part of it but things like shrinking reimbursements and legal concerns on top of the long hours." She found Drop Out Club three years ago as she was researching other career options, particularly in biotech. Kleinhaus signed on and in a matter of weeks landed her first job as an account executive with a biotech-focused communications and marketing firm. She stayed there for a year and then landed a job as divisional vice president with biotech company Pluristem Therapeutics. "I love science. My transition into biotech allows me to continue to use what I learned in medical school," she said. Mazansky said Drop Out Club membership has more than doubled in the last 18 months. "There's growing dissatisfaction among physicians," he said, echoing Kleinhaus' concern about falling reimbursements and administrative requirements. On top of that, he said doctors are buckling under the cost of malpractice insurance. But it's not easy for doctors to transition into a completely different career. "It's difficult because they spend a bulk of their life training and practicing a single craft," he said. "We're trying to help them explore other options that would make sense." Mazansky himself graduated with a joint M.D./M.B.A. degree from Columbia University. He never proceeded to residency and got into investment banking instead. Today he heads a healthcare-focused investment firm (and runs Drop Out Club with a business partner). "I realized in the later years of medical school that medicine would not be the career I wanted," he said. "I loved the science, but I knew that the actual practice of it wouldn't make me happy."